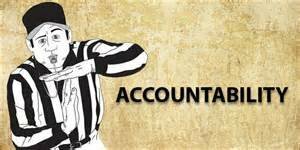 Accountability collects information from the schools for the annual accountability report. The Nevada Report Card includes information on each district and school in Nevada. The district report and each school's report which includes demographics, test results, curriculum, teacher/pupil ratio, finances and testing results can be viewed online. 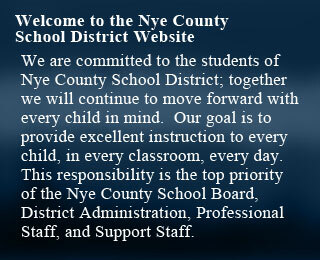 In addition, this website may be used to compare schools within Nye County and with schools in other districts in Nevada. Nevada has moved from Adequate Yearly Progress reports to the Nevada School Performance Framework. This system assigns each school a rating of one to five stars based on a number of factors. The complete annual, individual school reports can be viewed online. The rankings are listed below. Star ratings are generally referred to as school “classifications”. The NSPF index score is divided into five score ranges that correspond to star ratings, where five stars is the highest rating. The basis for the five score ranges is the index scores determined using information from the state's 2010-2011 data. The overall index values for the schools at the 90th percentile then formed the basis for the point range for 5-Star schools. Conversely, the schools among the lowest 5% of schools within the NSPF formed the basis for a 1-Star rating. Continuing in this manner, a 4-Star rating represents schools in the 75th to 89th percentile range, a 3-Star rating represents schools within the 25th to 74th percentiles and 2-Star schools fall between the 5th and 24th percentiles.